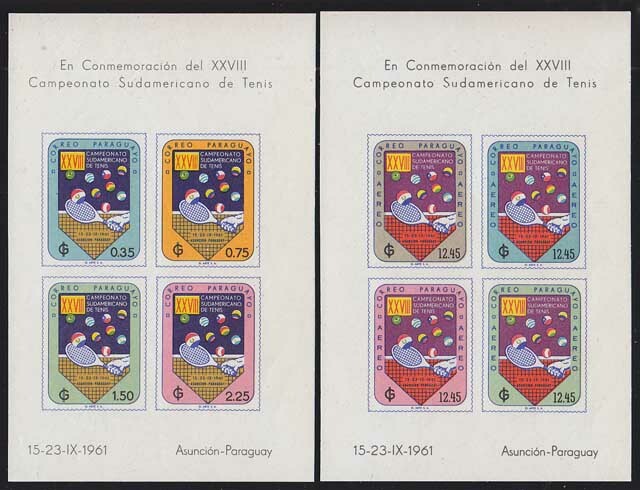 2581 ND PARAGUAY (1961) Tennis*. 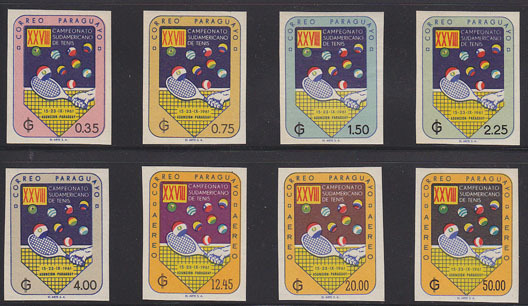 Set of 8 imperforates in changed colors. Scott No 605-9, C301-3. Yvert No 614-8, PA283-5. 11527 ND PARAGUAY (1961) Tennis*. Scott No 605-9, C301-3. Yvert No BF6, 7. 28th South American Tennis Championships. Set of 2 imperforate Minisheets. 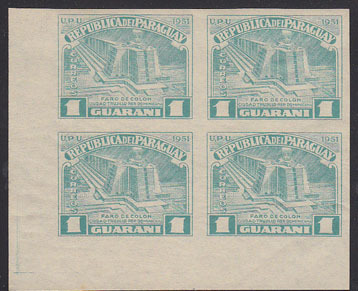 16612 ND PARAGUAY (1962) Mosquito*. Microscope*. WHO emblem*. 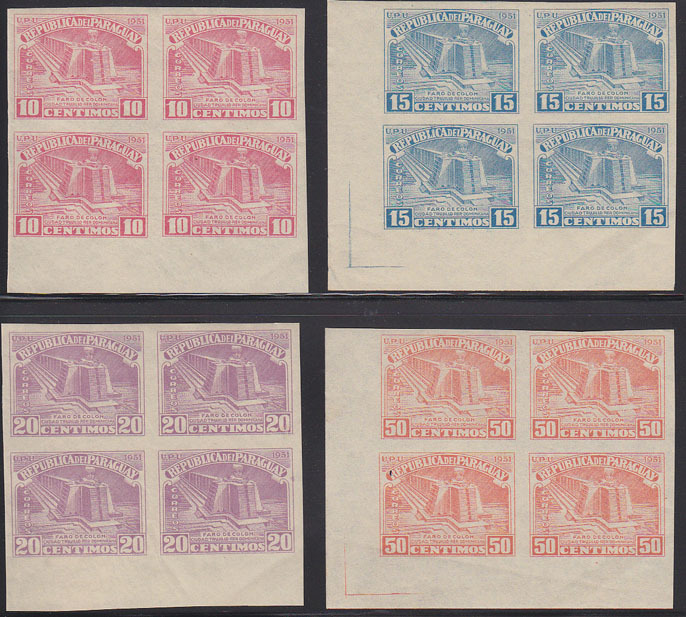 Set of 10 imperforates issued in different colors. Scott Nos 674-83, Yvert Nos 674-8,PA325-9. 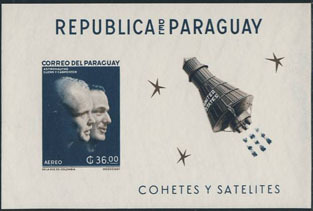 17245 ND PARAGUAY (1962) Carpenter*. Glenn*. Imperforate S/S. Scott No 706, Yvert No PA344BF.